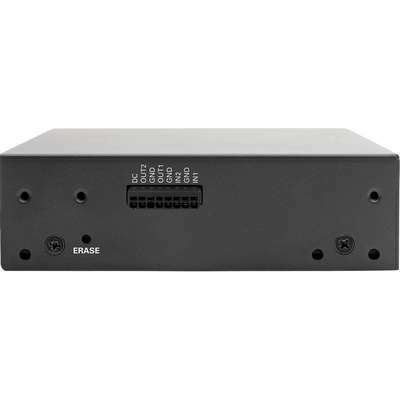 The B093-008-2E4U 8-port console server provides secure in-band (primary network) and out-of-band (alternate channel) remote access to serial- and network-connected routers, network switches, firewalls, PBX systems, UPS systems, PDUs and other devices. 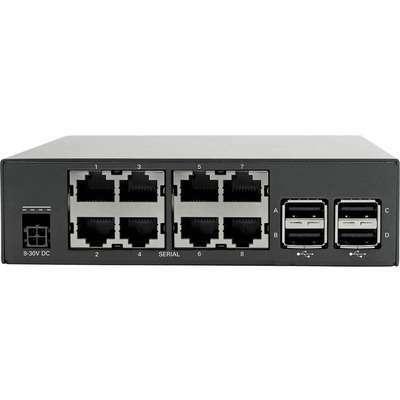 It offers reliable network connectivity with dual Gigabit primary and failover Ethernet ports. You can use it in a wide variety of applications, including wiring closets, branch offices, point-of-sale and other remote sites where quick resolution of network issues is imperative. Eight serial RS-232 console ports are configured to use standard Cat5e/6 patch cable when connecting to Cisco devices. They integrate with industry-standard directory servers using TACACS+, RADIUS, LDAP and Kerberos authentication. Provides 4 Gb of internal NAND flash memory. 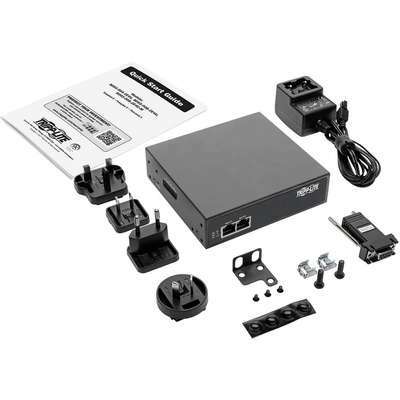 Connect one of the eight RS-232 ports to an external Multitech MT9234MU-CDC-XT or US Robotics USR5637 USB modem (sold separately) to receive out-of-band (alternate channel) access when remote sites experience a network outage. Each gateway can port forward to an unlimited number of locally networked hosts (computers, routers). This rack console also includes a built-in stateful firewall and embedded DHCP server to host a separate management LAN for critical traffic. The B093-008-2E4U supports the following security features and standards: PCI DSS 3.2, FIPS 140-2, SSL and SSH, stateful firewall, OpenVPN and IPSec VPN support. The embedded FIPS 140-2 OpenSSL cryptographic module is validated to meet FIPS 140-2 standards and has received Certificate #2473. This 8-port console server uses PowerMan for PDU and RPC management and Network UPS Tools for UPS system monitoring and management. It provides support for Tripp Lite and other power products, so you can remotely manage power to your connected equipment. Four USB 2.0 console ports allow connection to newer devices with USB console ports, such as Tripp Lite's wide variety of PDUs and UPS systems with WEBCARDLX and LX Platform remote management cards. Two DIO ports are included for connecting compatible devices, such as drive relays and alarms. 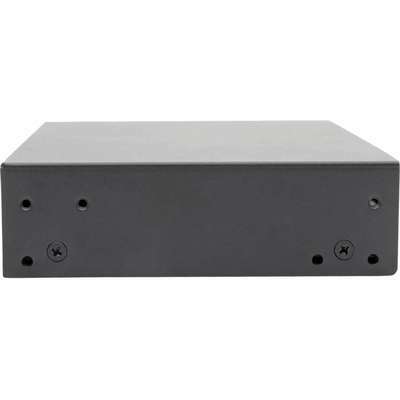 The heavy-duty steel housing comes with mounting brackets for easy installation in an EIA-standard 19-inch rack. Its fanless form factor also allows desktop deployment on four included rubber feet that help prevent the unit from sliding. This serial console server is compliant with the Federal Trade Agreements Act (TAA) for GSA Schedule purchases. The B093-008-2E4U comes with a 4-year warranty. It's manufactured in compliance with strict RoHS specifications, reflecting Tripp Lite's commitment to environmental responsibility.